← What Is Your Passion? Has anyone ever asked you that question? Ever? Until that person succeeds! Say a high school football star makes it to the NFL or a really attractive cheerleader breaks into acting, then we cheer them on because they succeeded where we didn’t think we could. They did the seemingly extraordinary and impossible when, actually, these or other possibilities were open to us as well all along. We just didn’t know it or believe it because no one told us we could! Young Adults today already have the two most important things they need to succeed and to create wealth: youth and their brains. Youth is important because wealth creation takes a little time and Young Adults have that resource in abundance. 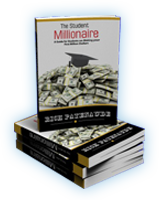 And the brain is important because it is the single most important tool in a Young Adult’s arsenal needed to create wealth – you need to start thinking about it! How so, you ask? Because our lives generally shape up the way we’ve been taught, thinking for ourselves sets the wheels in motion for a different path for us, one different than the one we were taught or expected to follow. Remember when I said control your thoughts, control your life? This is where it begins. 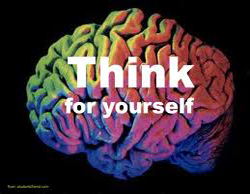 If you want to chart your own course in life, then start thinking for yourself. Accept nothing at face value, question everything. This doesn’t mean that what you’ve been taught or believe in is wrong, it just means that now these things are in line with what you believe and the way you think, not what someone else believes and told you to accept as true. Make sense? This particular attribute, thinking for yourself, will come in very handy as you navigate your path to your First Million Dollars. As you continue to evolve toward your Million-Dollar Goal, many people will offer you advice. Is that advice right for you? It depends. Does it feel right for you? Does it align with your goal? Does it contribute to your achieving your goal? Does it work for you? Only you can decide these things and whether or not to use these things that come your way to move yourself forward. No one can do it for you. Trust in the process. Above all, trust yourself. Listen to your Intuition. You can never go wrong doing that. I’ve known Mr. Patenaude for more than 45 years. He is a man of integrity and sincerely means what he says. Follow his advice and treat yourself to your first million.